Book Julia Hobsbawm as a keynote speaker with VBQ Speakers. Julia Hobsbawm OBE is an entrepreneur, author, media commentator, international speaker, and Honorary Visiting Professor at London’s Cass Business School. For more information on technology speaker Julia Hobsbawm, contact VBQ Speakers founding agent Leo von Bülow-Quirk on leo@vbqspeakers.com or 0044 7833 727090. 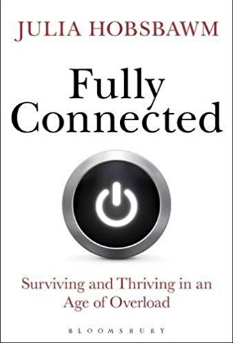 Social Health in the "Age of Overload"
Julia Hobsbawm has identified the new field of Social Health to meet the challenges of the fully connected, always-on, technology saturated era. The author of Fully Connected: Social Health in an Age of Overload, which was shortlisted for both Management Book of the Year 2018 and Business Book of the Year 2018, she is Honorary Visiting Professor in Workplace Social Health at The Cass Business School in London. A regular speaker for corporate audiences as well as the OECD and EU amongst policymakers, in 2018 Arianna Huffington named her editor-at-large of a new Social Health section of the global wellbeing portal, THRIVE. Julia sits on the Advisory Boards of The European Workforce Institute and the new workplace app Guild. She was awarded an OBE for Services to Business in 2015. Julia founded the knowledge networking business Editorial Intelligence, which pioneered new diverse network thinking and the ideas conference Names Not Numbers, The Comment Awards and the technology conference and podcast series The Human and the Machine. Julia has made several BBC programmes on networks and networking, and is a regular commentator and broadcaster around the world. She is a Patron of The Zoe Education Trust, and the Facial Surgery Research Foundation. Julia has extensive experience speaking for corporate events, international conferences and festivals. She is a regular speaker for Women Ahead/Moving Ahead, helping support leadership development in sport and business. "I think the corporate world is in the midst of a major transformation - it's one I welcome". Julia discusses the challenges facing today's workforce (2017). In an age saturated by technology and inter-connectedness, Julia sets out her blueprint for 'Social Health'.